Mission Tile, Inc. and Morgan Hill Tile have been serving the tile needs of Santa Cruz, Monterey, Morgan Hill, and Hollister for over 20 years. 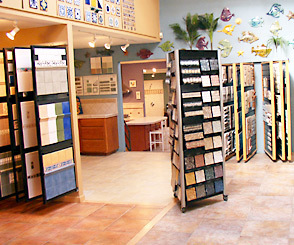 We carry a large selection of tile for every purpose. Whether you are looking for wall tile, floor tile, decorative accent tile or mosaic tile, we can inspire and help you find the perfect match for your project. Our design service and products are of such high quality we have shipped material throughout the continental US, the Caribbean and Hawaii. We look forward to being of service to you. Click on the button below to see photos of our Santa Cruz showroom on our Houzz.com profile.